Google has officially crowned Glassdoor as the king of job content. 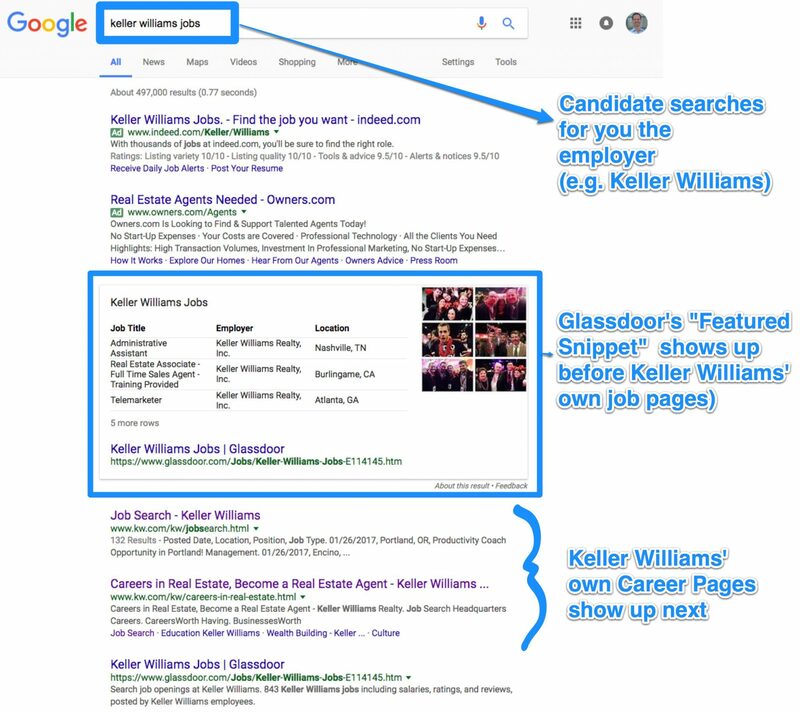 Glassdoor now has such an enormous amount of relevant content on you “the employer” that not only do they come up as the first non-paying ad on Google Search results, Google is rewarding them with what’s called a “Featured Snippet” which is the block of content that I’ve bordered below on a search I did for “Keller Williams Jobs”. This is not unique to Keller Williams. Google has an explanation of its Featured Snippet explained here. 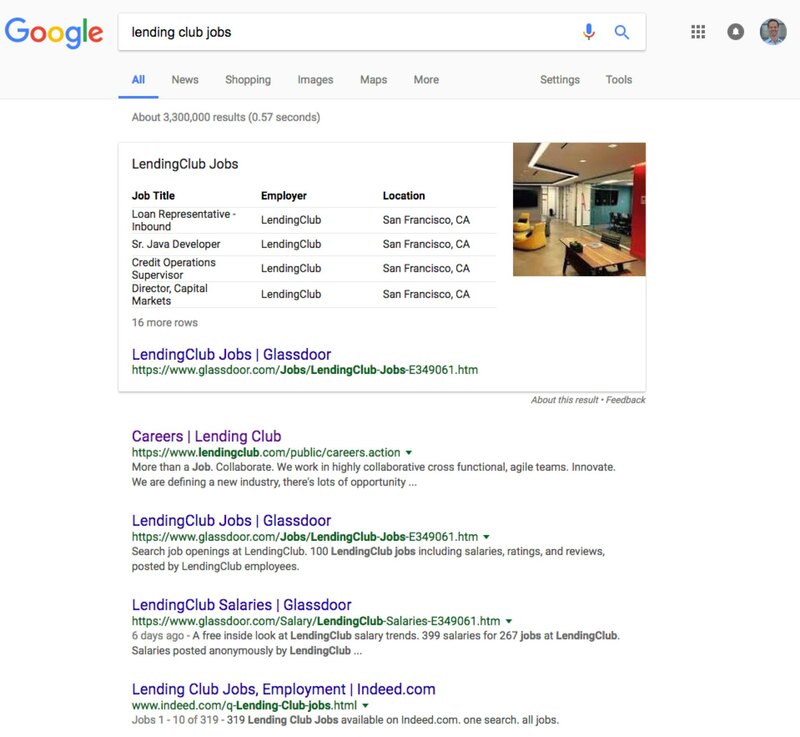 Basically, Google thinks that Glassdoor’s content about you “the employer” is so relevant to the search (e.g. it has ratings and reviews, salary information, pictures of your workplace, aggregation of your ob postings), that it chooses to show Glassdoor first (Glassdoor pays nothing for this privilege) before they show you. In effect, Glassdoor is out marketing you “the employer”. They are good at this online marketing thing. You’ll see similar Featured Snippets show up from other sources that Google recognizes as an authority on a multitude of subjects (e.g. Wikipedia snippets will show up when you search “Best Composers” or Best Buy results will show up when you search “Best Stereo Equipment”).